Fantastically talented photographer. Made sure before the wedding we were happy with her photography style. Invisible on the day while managing to produce amazing photos. Both posed and natural photos have captured the wedding perfectly. Can highly recommend. Emily is amazing!! Such a lovely person and amazing photographer. She made us feel so relaxed on the day! All our guests loved her. Had our photos finished by the time we got back from honeymoon and they are amazing! Thank you so much Emily for being part of our special day and capturing our day for us to look back on over the years to come! 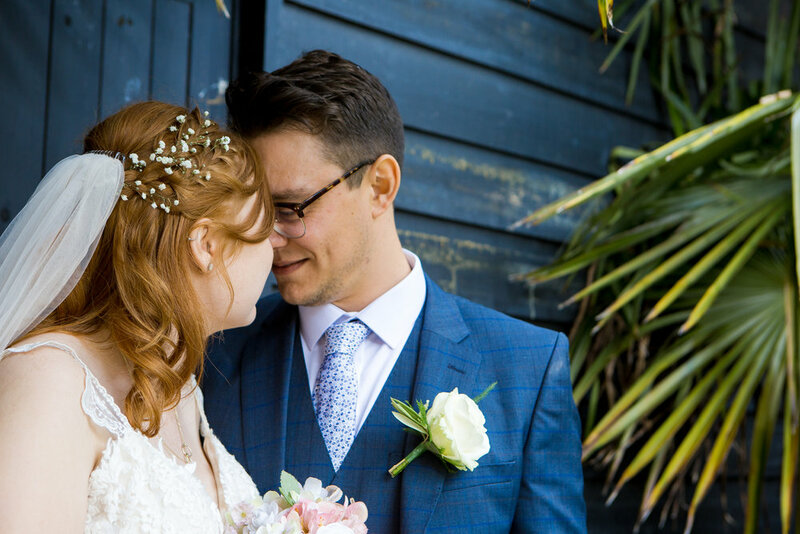 We had the pleasure of Emily taking our wedding photos for our marriage in Brighton. She understood exactly what we were looking for and this showed in the amazing photos that she produced of our special day. Everyone who attended the wedding commented on Emily and her professionalism but also her ability to get the best shots on the day. Since we got married we have had a baby and we knew that Emily could be the only person to take photos of our new family. We can not recommend her highly enough. I’m so happy we booked Emily as our photographer, she completely put us both at ease from the moment we met up for her site visit. She was professional but also friendly which is exactly what you want! One of my favourite photos from the day is a confetti shot of me & Dan in front of a wall & you’d never know it was actually in the car park - she really has a great eye for brilliant backdrops & shots. In the nicest way possible, I didn’t notice her snapping away during the ceremony or meal and we have so many lovely candid shots of us & our guests. More importantly, we weren’t away from our guests or the day for too long doing the photos and she made it super fun. I couldn’t be happier with the results & I’m honestly so happy we had Emily (and papa Steve) be apart of our day. Emily came to France to take our wedding pictures and she was more than happy to do so. She was well organised and knew what shots she needed to capture our perfect day from start to finish all the details of dress shoes hair etc and even my husband getting ready too was an added bonus to see the pictures and the happiness she captured in doing so. I’m never one to like having pictures taken but Emily made us feel relaxed and at ease she was quick and thorough so we could move on to enjoying our day with our family and friends. She comes highly recommended and can’t wait to now use her for our first child’s pictures too.